Focus on Life Annual Banquet – Please join us for a wonderful evening of fun, fellowship, good food and education. 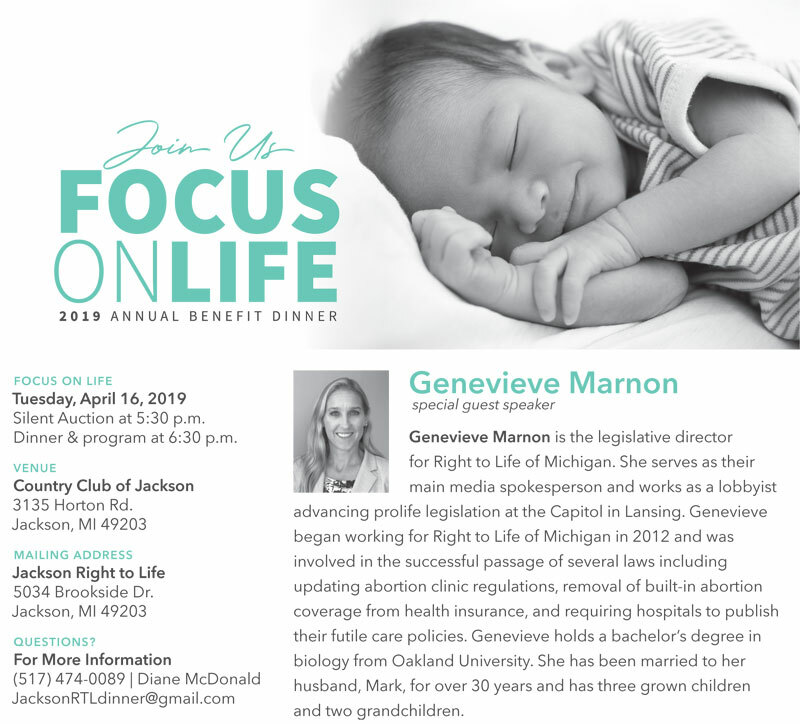 Our speaker, Genevieve Marnon is the legislative director for Right to Life of Michigan and we assure you that she will provide information you have not likely heard plus offer effective ways we can help promote and defend life. You will learn what we, specifically in Michigan, plan to do. Please share this event with family, friends and church congregations. We have work to do!